The college search is all about finding the best fit for you, and connections are a great way to discover more possibilities. 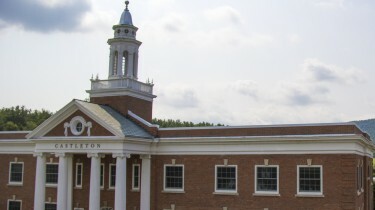 If you would like to explore the ways Castleton may be a strong fit for your future, we encourage you to connect with us. By giving us your basics, we'll know you are gathering information and would like to stay connected with what's happening at Castleton. This will keep you informed with admissions information as you navigate your college search, give you ways to connect with our students and other members of the Castleton community, and let you know how to visit our campus and participate in upcoming admissions events. Castleton Among Most Affordable Colleges in U.S.
Castleton was recognized for its prestigious classifications, wide array of academic offerings, and affordability, as the University was recently named one of America’s Most Affordable Small Colleges by Best Value Schools.